Can this juice actually boost your brain power? As the aging population continues to grow, memory impairment and cognitive decline are of increasing concern. 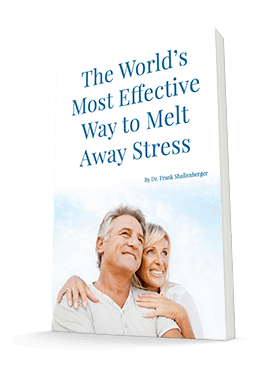 Researchers are always on the lookout for new remedies that can help slow or reverse this decline. Of course, drug companies want to develop a product that you have to pay a small fortune for. But other researchers are seeking more natural remedies. In one such study, published in the Journal of Alternative and Complementary Medicine, the researchers obtained some interesting results from their investigation of cranberry juice's effects on cognitive functioning. For this study, the researchers divided a group of 50 adults, ages 60 and older with no history of dementia or significant neurocognitive impairment, into two groups. 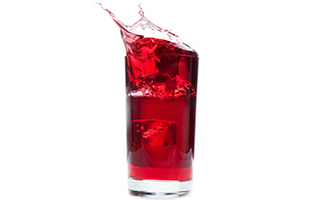 One group drank a 32-ounce beverage containing 27% cranberry juice every day for six weeks, while the other group drank a placebo beverage. The researchers administered a number of neuropsychologic tests to the participants both before and after the six-week study period. They also gave the participants a questionnaire so they could self-report how they were feeling after the test. What was interesting was that the analysis did not reveal any significant differences between the two groups in regards to their performances on any of the tests. And according to the information the participants recorded on their questionnaires, there weren't any significant relationships among abilities to remember, thinking processes, moods, energy levels, and overall health. However, the researchers did identify one interesting, though non-significant, trend: more than twice as many participants in the cranberry group assessed their overall abilities to remember as "improved" than did those in the placebo group. As this was a short, small trial, it's possible that the cranberry juice was in fact having an effect that the tests weren't picking up. Or perhaps the study wasn't long enough. More research is needed, but I'd certainly rather drink some cranberry juice every day than pay for an expensive drug to help my memory. If you do decide to try cranberry juice, make sure you get the real thing — not just cranberry-flavored juice. And go easy on it — even if cranberry does help your memory, juice is still high in sugar and calories. I don't think you need to drink 32 ounces. Stick with a glass a day and see how you — and your memory — feel. If you don't care for juice, or would like to get more protection for your brain, try Advanced Greens Formula. It has 150 mg of dried cranberry extract (among many other powerful dried whole foods). Mix two scoops of the formula with your juice and you'll really ramp up the memory enhancers.